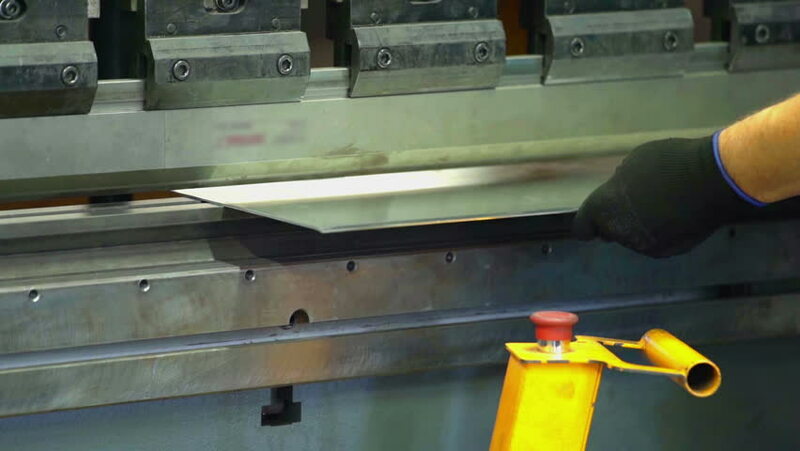 A man in the factory is bending a metal piece with the help of a machine. He is doing it two times on two different sides. He is wearing black safety gloves. Close-up shot. hd00:09A worker is slowly bending a thin piece of metal under a machine in the factory. He is wearing black protective gloves. hd00:3831.08.2015 Navigation on the Moscow river. hd00:24Automatic CNC plasma cutting machine cuts details from steel sheet .